The federal government is permitting a California biotechnology company to license three experimental cancer drugs from Cuba, making an exception to the policy of tightly restricting trade with that country. The company, CancerVax, had said late last year that it was trying to license the drugs and had been awaiting needed permission from the Treasury Department’s Office of Foreign Assets Control. That permission has been granted, and CancerVax is expected to announce it today. CancerVax executives said that it was the first time an American biotechnology company had obtained permission to license a drug from Cuba, a country that some industry executives and scientists say is surprisingly strong in biotechnology for a developing nation. In 1999, SmithKline Beecham, a large conventional pharmaceutical company now known as GlaxoSmithKline, licensed a Cuban vaccine for meningitis B that it is testing in clinical trials. American people, not just the American people but people around the world," said David F. Hale, chief executive of CancerVax, a newly public company that does not yet have any drugs on the market. Mr. Hale said that he had been pursuing the Cuban drugs since he first saw a poster about the work at an American cancer conference three years ago. A spokesman for the State Department, which helps rule on such licenses, said that the exception had been made because of the life-saving potential of the experimental Cuban drugs and that the license approval did not represent a relaxation of the trade policy. "These three drugs are claimed to be revolutionary life-saving medications," said the spokesman, who agreed to comment only if not identified by name. "As such, upon review it was decided that the company should have an opportunity to further research and verify the claims about these drugs." CancerVax, which is based in Carlsbad, Calif., plans to test the drugs in clinical trials and bring them to market if they pass muster. The first one, Mr. Hale said, which has already shown some promise in small trials, could reach the market in 2008 or 2009.
development stage. If products reach the market, the company would pay up to $35 million more. 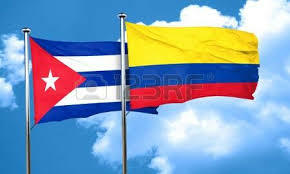 As a government condition of allowing the license, payments to Cuba during the developmental phase would be in goods like food or medical supplies, to avoid providing the Cuban government with currency. Any payments after drugs reach the market, Mr. Hale said, could be half in cash. visits to Cuba and cash remittances by Americans. 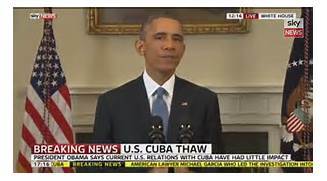 The administration has also stated that it believes Cuba has at least a limited biological weapons research effort and that it has provided biotechnology to other "rogue states" that might be used either for medical purposes or in development of biological weapons. The Cuban government has denied it is developing such weapons. Representatives from both parties had sent letters to Secretary of State Colin L. Powell urging that permission be granted on medical grounds. One letter writer, Senator Christopher J. Dodd, the Democrat from Connecticut, hailed the government decision as good news in a statement issued yesterday. "Saving lives shouldn’t be a political issue," he said. H. P. Goldfield and Richard A. Popkin, Washington lawyers hired by CancerVax to help win approval, said there had been no real opposition. "At the worst, some officials in Congress did not support us but they did not in any way try to oppose the license," said Mr. Goldfield, who is with the firm Hogan & Hartson. But Mr. Goldfield and Mr. Popkin, who is with the firm of Swidler Berlin Shereff Friedman, said the CancerVax approval was more difficult to obtain than SmithKline’s license because of the Bush administration’s tougher policy toward Cuba. Cuba already sells some biotechnology drugs in countries other than the United States, said José de la Fuente, the former head of research and development at the Center for Genetic Engineering and Biotechnology in Havana. The drugs include a hepatitis B vaccine and a treatment for heart attacks called streptokinase. Dr. de la Fuente, who is now a research professor at Oklahoma State University, said the move into biotechnology began in the early 1980’s after Fidel Castro heard about interferons – immune system proteins that were viewed back then as potential cancer cures — during a visit to Cuba by the president of M. D. Anderson Cancer Center in Houston. More than $1 billion was spent over the years to build and operate research institutes on the west side of Havana staffed by Cuban scientists, many of them educated in Europe, Dr. de la Fuente said. But he said that the Cuban program has become weaker because the government had started to exercise more control over the scientists and because of economic pressures. organization in New York, said Cuba had a few drugs that have interested other American companies. The Cuban drugs that CancerVax is obtaining were developed by the Center of Molecular Immunology in Havana. They were first licensed to YM Biosciences, a Canadian company. YM Biosciences is transferring those rights to CancerVax. Mr. Hale said YM Biosciences had apparently decided to concentrate on some drugs that were further along in development. David G. P. Allan, YM’s chief executive, did not return a call seeking comment. The Cuban drugs in question are so-called cancer vaccines, which attempt to harness the body’s immune system to fight tumors. While the concept of cancer vaccines have excited researchers, the field has been littered with disappointments. CancerVax’s own main drug is a melanoma vaccine that has been in development by an academic scientist for 40 years and is only now in the final phase of clinical trials. The lead drug from Cuba aims to thwart epidermal growth factor, a protein in the body that can spur the growth of cancer cells when it binds to them. The approach is different from the new cancer drug Erbitux, developed by ImClone Systems, which blocks the epidermal growth factor receptor, the docking port on cancer cells to which the growth factor binds. The Cuban vaccine, instead of trying to block the receptor, links the growth factor to a bacterial protein, which is injected into the body. Doing so is supposed to stimulate the immune system to make antibodies that attack the growth factor. The drug has already been tested in small clinical trials outside the United States. In one trial, according to data presented last month at the American Society for Clinical Oncology meeting, patients with advanced lung cancer who got the vaccine lived longer than those who did not receive the treatment. Mr. Hale said CancerVax planned to put the drug into phase 2 trials, the middle stage of testing. The second drug, which has not yet entered clinical trials, is a similar vaccine aimed at transforming growth factor-alpha, another protein that can stimulate cancer cell growth by binding to the epidermal growth factor receptor. The third, also not in clinical trials, is aimed at stimulating antibodies to the receptor. PreviousThe Apartheid Wall Must be Dismantled Immediately!